‘We organise Camp the Night to show the world that any location can be a Campspace. To put the cool back in camping. 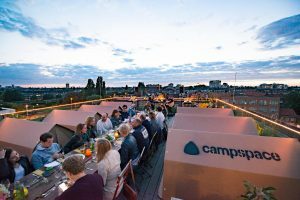 Whether it’s the pitch in your favourite sports stadium, the rooftop of a bar in the city or simply someone’s backyard’, says Hugo van Donselaar, CEO of Campspace. On August 12, the company saw their first edition of Camp the Night grow into a big success. 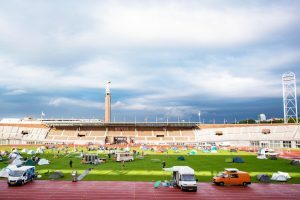 Over 250 campers spend the night across four different locations in the nation’s capital, including a pop-up campsite in the city’s Olympic Stadium. 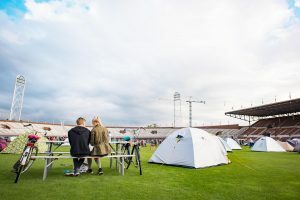 The stadium that hosted the Olympics in 1928 turned into a campsite for one night only. From couples, to families and groups of friends; all found their way to the pitch. The rooftop of NEST on top of Hotel Casa turned their hotspot into an urban couples retreat. Innovative cardboard tents were provided. Tickets included dinner, live music, breakfast and yoga in the morning. 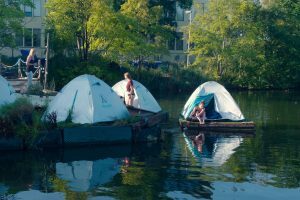 At the experimental builders site The Ceuvel in the North of Amsterdam, guests were offered a chance to spend a night on a private island in the form of a floating garden. Due to major interest in the event from outside the Netherlands, the company has decided to expand across it’s borders. It’s today announcing a call for entries towards their 2018 events, allowing anyone to host a Camp the Night in their city or town. Hosts can contact the organisation through their website (www.campthenight.com) and get all the help needed in order to run a successful Camp the Night event. 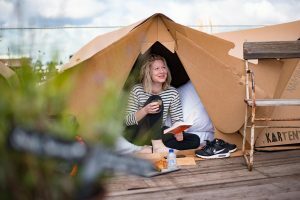 Campspace.com is an online platform that aims to bring people together through unique camping experiences. Through Campspace.com anyone is allowed to share their personal space online. For travelers it’s a great way to have an unforgettable holiday experience. While for hosts it’s an ideal opportunity to meet new people while earning some extra cash.